Are you an importer, supplier, exporter, or manufacturer looking for business leads and buyers for your products or looking for wholesalers, stores, and retailers to build your supply channel? Or do you offer services for businesses and looking to gain more leads? 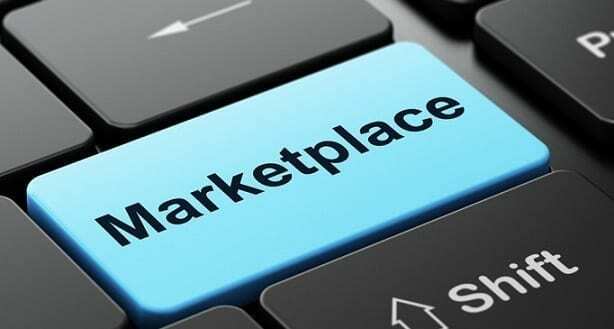 NaijaTechGuide now has a Marketplace section where buyers can meet sellers and business services can meet businesses. NaijaTechGuide Marketplace accessible at marketplace.naijatechguide.com is an online B2B marketing platform built to facilitate business and trade in Nigeria and between Nigeria and the rest of the world. It will save you time, foreign exchange, and reduce waste. Do you know that it is possible that the product you are planning to waste foreign exchange importing is manufactured by a company in Nigeria or is in the stock of a wholesaler in Nigeria? Similarly that excess inventory in your factory may actually be useful to anther factory facing shortages. Just post a sell offer at the NaijaTechGuide B2B Marketplace to get business leads from businesses interested in sourcing products from you. The whole point of NaijaTechGuide Marketplace is to help suppliers get business leads online. More and more Nigerians now use the internet to get information, businesses are not left out. Posting sell offers on NaijaTechGuide B2B Marketplace is bound to help you get more business leads. Just visit the NaijaTechGuide B2B Marketplace register for free and start posting sell offers. It is that easy. Posting a sell offer will only take a few minutes, just add your offer to a category or categories, write a title and description for your sell offer, enter your capacity, minimum order you take, the price, the type of payment you accept, location and so on. You can also add your location on a Map so that buyers can easily find your office, warehouse, or factory location. Once you complete the sell offer form submit it. Now you can go ahead and add images and YouTube videos of your sell offer. Images and Videos create a more interactive and engaging sales pitch and will get you more business leads, so don’t miss the opportunity to post them. Note that you will not upload the video on our site. You upload it to YouTube and add the YouTube link on NaijaTechGuide B2B Marketplace. A sell offer is valid for 2 years. You can edit it at anytime within the validity period. NaijaTechGuide B2B Marketplace has three levels of membership, the Bronze member, which you enter once you register is free and allows you post a maximum of 2 sell offers. You can also add one image and one video to each sell offer. As a Bronze member you can add your offer into one category. In contrast a silver member can post up to 5 sell offers and add two images and videos and two categories to a sell offer on NaijaTechGuide B2B Marketplace. As a Gold member you are a premium member, you can post unlimited sell offers and add up to 5 images and 4 videos per sell offer. You can also add your offer to up to 4 categories for maximum exposure. That’s not all; your sell offers are featured in all relevant categories and on the homepage, getting you more business leads. Gold membership costs N1,000 for 3 months membership or N3,000 for a year. Two years Gold membership costs only N5,000. However, as part of our initial promotional offer, you can get 3 months Gold membership free (valued at N3,000). Just register and post a quality sell offer (with images) and add a quality company or business profile and we will give you a 3 month upgrade to our Gold membership free. Hurry, this offer is limited. Get business leads and boost sales, visit NaijaTechGuide B2B Marketplace and start posting those sell offers. 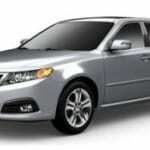 You can sell and buy cars at the NaijaTechGuide Auto Trader.